A New Start Counseling Center, Inc., is located in Fayetteville with a satellite office at First Baptist Church of Newnan. The Fayetteville Center has a staff of 12 psychologists and psychotherapists. Dr. Gretchen Peacock, DMFT and LPC, staffs the First Baptist satellite office. Dr. Peacock received her doctorate degree in marriage and family therapy from Fuller Theological Seminary in California. She holds two master's degrees, one in marriage and family ministries, another in secondary education. Her undergraduate degree is in sociology and Christian education. She has been involved in the training of therapists at Regent University and Fuller Theological Seminary, and Psychological Studies Institute. She served six years of clinical practice at California Christian Counseling Center, as well as two years of experience counseling within a large church in Virginia. She has been on staff with New Start for 11 years. Dr. Peacock works with couples and families in developing healthy communication skills. She specializes in working with individuals who have grown up in dysfunctional family systems, such as alcoholic or incestuous families. Some of the presenting problems she deals with are addictions, depression, compulsive disorders, unresolved grief, inability to feel and express emotions, self esteem issues, anger management, anxiety, and sexual identity concerns. General psychological services are professionally and confidentially provided with unique specialty areas. Adult, adolescent, and child services are provided within individual, marital, family or group settings. A New Start's staff also provides psychological assessments and testing. In addition to clinical services, numerous educational and community service programs are available to aid the metro Atlanta area. A person or organization may contact the center for specific topics. Staff members are also experienced in the field of corporate consultation, training and interventions. A desire for personal growth through self-understanding. Difficulty coping with life problems. Feelings of depression, fear, anxiety, guilt, or anger. Need for premarital guidance and counseling. Feelings of emptiness, boredom, worthlessness, meaninglessness. Recovery from major life traumas -- illness, aging, divorce, vocational change, bereavement. What counseling is . . .
Counseling is a process in which client and counselor work together in a confidential relationship to seek a new understanding of a problematic and stressful life situation while identifying personal resources that may be hidden from awareness under the pressure of life stresses. This process may occur in individual, marital, family, or group sessions. 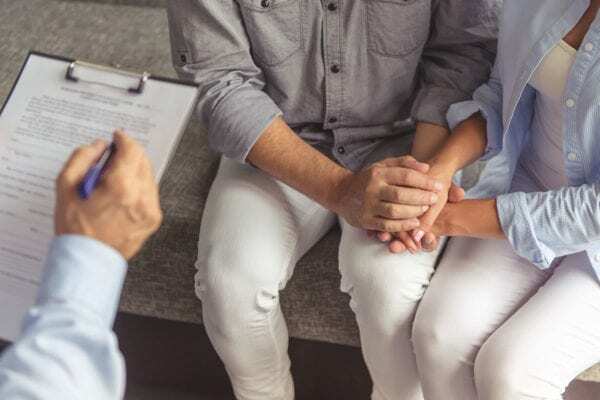 The counseling context is chosen to best address the client's life situation and personal needs and the availability of relevant professional resources. Some health-care insurance programs will pay for counseling/psychotherapy. Our staff will assist you in researching your insurance programs and assist you in filing your claims. Through the benevolence of participating churches, some limited scholarship assistance is available for clients that are in need.